A number of Republicans, including Senate Majority Leader Mitch McConnell, have been attacked by demonstrators opposing Brett Kavanaugh’s Supreme Court nomination in light of a series of recent sexual misconduct allegations against him. 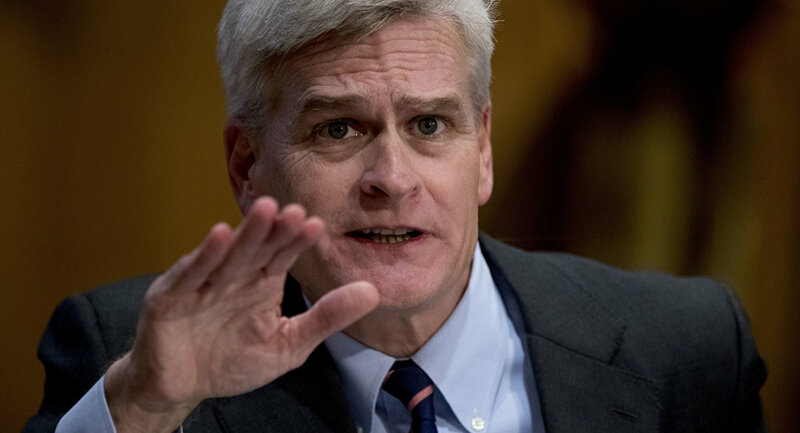 Senator Bill Cassidy is the latest GOP member to be targeted by someone protesting Kavanaugh's confirmation. On Monday, Cassidy was walking on the premises of a Senate office building when he was addressed by a woman who demanded that he explain why he's backing Kavanaugh. The episode was captured on a video recently released online. Cassidy responded, asking her how she would react to her husband’s or son's life being, as he put it, "destroyed" by an "uncorroborated" charge.